The organization had its beginnings in 1973 with a charter by the state of Texas and with a 501c(3) tax exempt status. 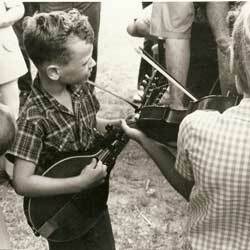 Its purpose is to preserve and perpetuate a style of old time fiddling that is not hillbilly, country, Appalachian, Irish, bluegrass, Cajun, blues, southern style, swing, pop, square dance music, or jazz. It is a style uniquely different from all others in that it is the most colorful, sophisticatedly cluttered, and baroque, that utilizes enough improvisation without significant departure from the melody line. The style also requires use of the entire length of the bow, more than one position on the fingerboard, and coordination of wrist and arm movement. Apply all this to such tunes as Dusty Miller, Hell Among the Moonshiners, or Beaumont Rag, and the result is an astounding report of richly melodic and pleasingly complicated sounds that are free of monotony and repetition and substantially different from other styles that often employ the relatively primitive “shove and pull” bowing technique. 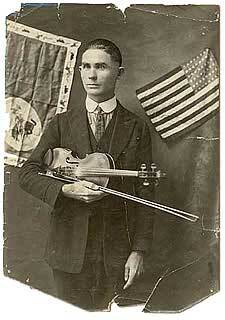 It is referred to as the Texas style, the contest style, and the Texas long bow because of its origins in Texas by those such as A. C. “Eck” Robinson, a fiddler from Amarillo, who was the first to record (1922) a Texas fiddle tune, “Sally Goodin,” which opened the door to recorded country music. Those who play this tune today perform it the same as was originally recorded by Robinson. He was born in Arkansas, the son of a Campbellite circuit rider who was also a fiddler and named for the founder of that form of Protestantism, Alexander Campbell, hence the initials A. C. that were fused to form the nickname Eck. He and several others formed the milieu that resulted in the development of the Texas style. It is often referred to as the "long bow" because the style employs the use of much of the bow length as compared to other styles. It is also called the "contest style" because of the diffusion of the style into many other areas of the United States and has become the standard judges use to evaluate the contestant. The Association, with a membership of over 400, organizes and sponsors about 25 contests throughout the state during the course of a year. The convention will attract between 75 and 100 fiddlers and accompanists with cash prizes ranging from $50 to $500 and occasionally cash prizes amounting to $1000 to $1500 awarded to the grand champion.